The movie, Avatar, is a very famous 2009 American sci-fi movie that has been written, directed, co-edited and also, produced by James Cameron. Over the years Disney has been bringing back our favorite our favorite classics with their resurgence of live-action remakes, but they aren’t the only ones – meet Ksenia Perova, the 22-year-old cosplayer from Russia. Perova has been doing cosplay since 2014, and with her unique features combined with her artistry she has built up a giant following, 40.3k on Instagram to be exact. San Diego Comic Con is perhaps the biggest convention of its kind in the entire world, with thousands of fans waiting for it every year. It combines pop with geek culture and encompasses many genres and media. This year, Comic Con took place between 19 and 22 of July and celebrated the gathering of thousands of fans, geeks and cosplayers. San Diego Comic Con is perhaps the biggest convention of its kind in the entire world, with thousands of fans waiting for it every year. It's time again for some amazing "Lowcost Cosplay". 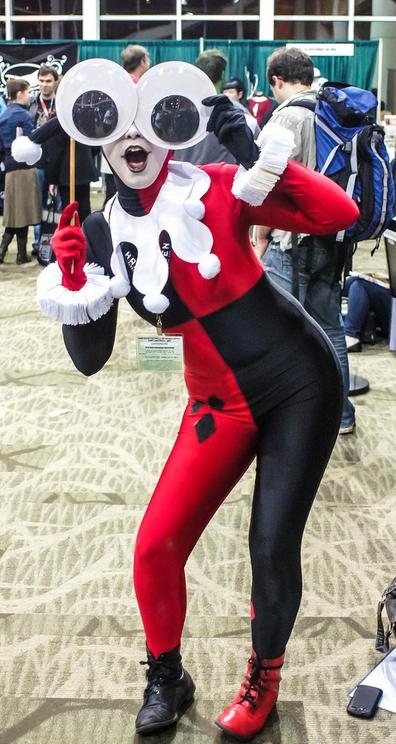 Cosplay fans know, that this hobby is not a cheap one, so ideas from the "Lowcost Cosplay" project might come in handy for many aspiring and professional cosplayers. Take a look at some of his newest costumes from bananas, pens, bubble wrap and even underwear! Just yesterday, Justin Timberlake shared a series of adorable photos on Instagram that show him completely transformed into Buzz Lightyear, his wife Jessica Biel as Jessie, and 2-year-old son Silas lassoing everyone’s hearts as Woody. “All geared up and ready for action. Plus I may go hit on that Buzz…” Biel captioned her own Instagram uploads. It almost tops last year, when the famous family donned a Trolls-inspired ensemble. Getting your baby to stay asleep is one of the most challenging - and rewarding! - experiences of any parent. It takes time, patience, and perseverance, and the slightest sound can ruin your hard work in an instant. Which is why Laura Izumikawa Choi is one seriously brave mom. Because she dresses her sleeping daughter in the most adorable selection of cosplay costumes, but we're sure you'll agree that the results are more than worth the risk. Getting your baby to stay asleep is one of the most challenging - and rewarding! - experiences of any parent. "A long time ago in an adorable galaxy far, far away...."
Cosplay is a short for “costume play”, it is a type of performance art in which participants use costumes and accessories to represent a specific character or idea. Favorite sources for cosplay include manga and anime, comic books, video games and films. Cosplay is a short for “costume play”, it is a type of performance art in which participants use costumes and accessories to represent a specific character or idea. So you want to go to a cosplay or Halloween party and you want to dress up as a really cool anime character or comic book character? A cute cosplay inspired by Star Wars. Mercedes-Benz New York Fashion Week 2013 began this week and that should mean absolutely nothing to anyone reading this website. Giant googly eyes aren't just great for making household objects look alive, they are also great for making cosplay look even more fantastic! These delightful pictures were taken by Jenny and Lars Sparks, who modified the eyes and brought them to the convention for this specific purpose. Giant googly eyes aren't just great for making household objects look alive, they are also great for making cosplay look even more fantastic!